Enlighten Versus Zoom teeth whitening: Whats the difference? Britney versus Christina. Taylor versus Katy Perry. Jay Z versus Kanye. Enlighten versus Zoom. 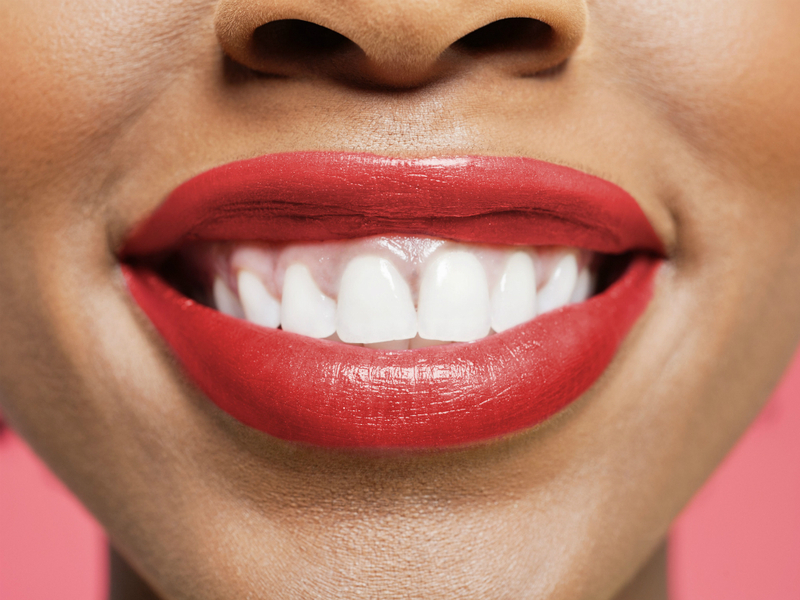 As teeth whitening goes, it’s really tricky to know which type of process to go for. Should you go for an at-home kit, (as tried and tested by Senior Beauty Editor Anita Bhagwandas) or block out an afternoon to hang out in the dentist’s chair? And while we’ve already been through your pre-whitening checklist already, the big question at the moment seems to be whether you should try Zoom teeth whitening, or its (slightly more expensive) counterpart, Enlighten. With both processes costing upwards of £900, you don’t want to be handing over your cash without a full break down of the advantages and disadvantages for each one. So we caught up with London’s leading tooth fairy (and orthodontist to celebs such as Rita Ora and Joey Essex), Dr Richard Marques of Wimpole Street Dental Clinic (and the founder of the @Ask_The_Dentist instagram account) to find out how the treatments differ – and which one is worth going for. – You’re guaranteed to lighten your teeth by up to 16 shades – no other system does that in the world, (without potentially causing damage to the enable on your teeth, that is). – You can ‘top up’ at home afterwards, whenever you want. You just have to buy an extra tube of serum-style gel, and then dab it onto the little mouth guard thing, and then sleep with it in for a couple of nights, and your teeth will be whiter than white again. – It’s thought to last up to four or five years (unless you guzzle whole bottles of red wine and then go to bed without brushing your teeth, that is). – It really works – within a few days, you’ll see the difference in your teeth – but you can control the colouring too. If you want a natural shade, stop when you get there. If you want a crystal TOWIE white smile, carry on. – It takes up to three weeks from your first appointment. After your first consultation, which will see you chomp down on a mouthful of gooey-blu-tack stuff, a mould will be made, and then two clear plastic mouth guards will be made to fit neatly over your teeth. You take that home, and using two tubes of clear serum and green serum, you dab a bit of goo into the mould, sleep with them in every night for two weeks. At the end of that, there’s a final laser treatment, to seal in the bright white shade. – There is some sensitivity. You’re provided with some anti-sensitivity toothpaste to use during the process, which is supposed to minimise the pain, but if you sleep with the trays in, you may wake up to find that your teeth feel a bit dried out. -You can’t drink red wine or black coffee or eat tomato Bolognese or any foods with strong colours for the duration of the treatment. – The technology has moved on, so it isn’t agonisingly painful any more – which was the main criticism of laser teeth whitening in the past. Instead, it’s probably the quickest and easiest form of tooth whitening available. – You only need one hour and a half long treatment, then you can go about your merry, white-toothed way. – It can feel a bit weird. 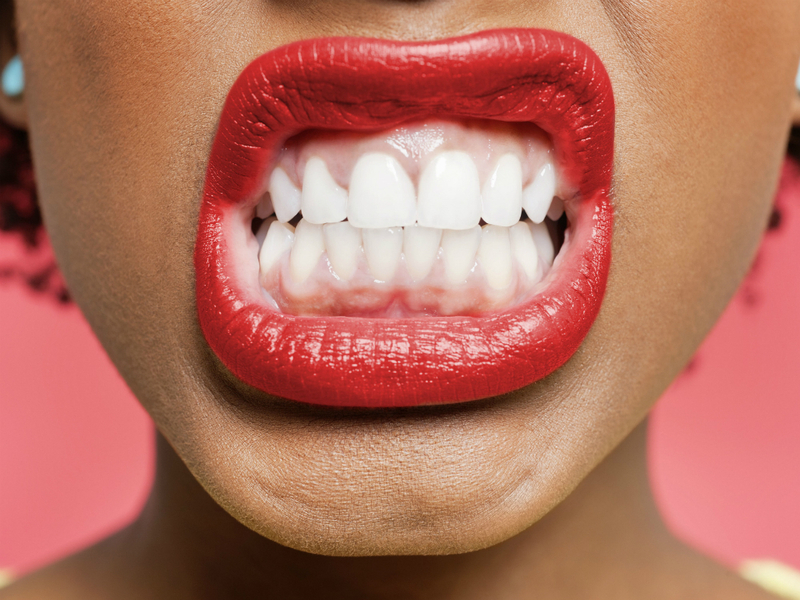 A rubber dam is put over your mouth and lips, and then a bleaching product is applied, and a UV light is shone onto your teeth to activate it. – It takes three or four 15 minute long cycles, so it’s a bit of an awkward process. The gel is applied, the UV light activates it, and then 15 minutes later it’s switched off and your teeth are cleaned – before starting all over again and repeating several times. – On average, the teeth will stay white for a year – but afterwards, you might need another top up session.